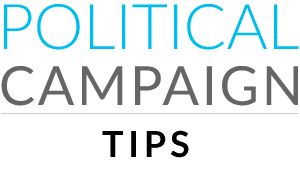 Face-to-face contact is the most persuasive type of political campaigning. 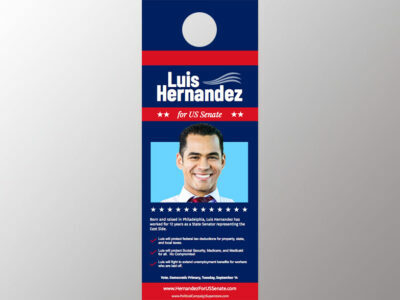 Palm cards and door hangers are a fast way to get your name out and spread your message quickly and inexpensively. 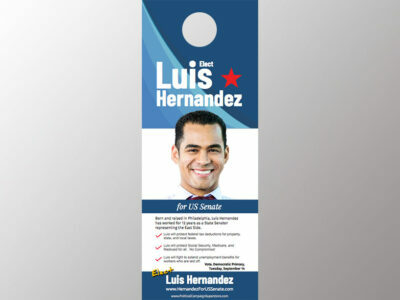 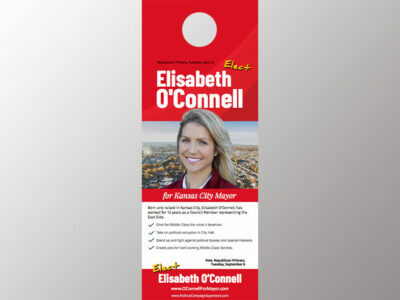 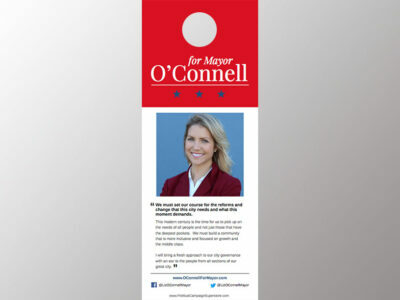 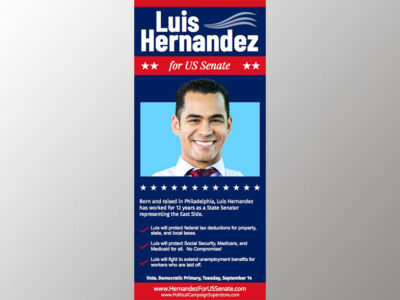 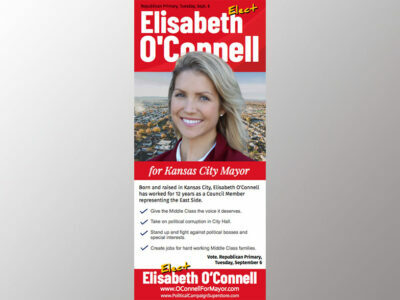 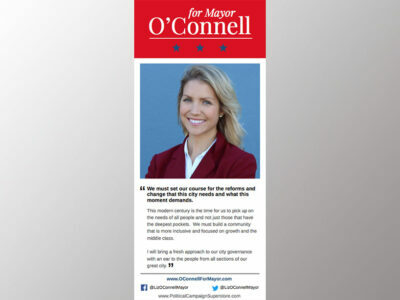 Palm cards and door hangers have your name, your picture, your slogan, your message, your website, the office you are running for, and the date of the election. 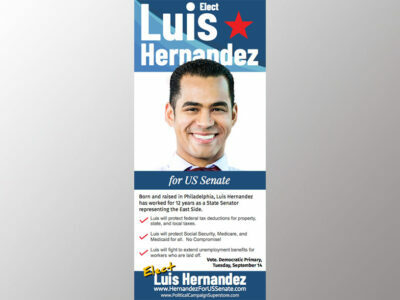 Make sure you order enough to get through the election.